The average Tube amplifiers, in our opinion, needs a flat impedance load to get the best sound out of it. The flat impedance allows a more homogeneous play along the whole frequency spectrum: all our speaker of the big Fun and Genuin series (except for the Genuin FS 4.2 and FS 5) have a excludable impedance correction for the cross-over frequency. 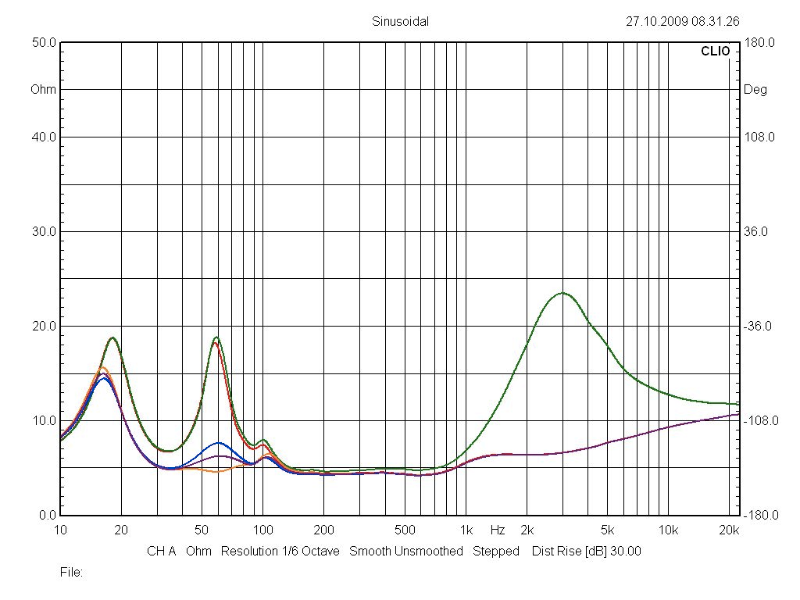 The Clara Luna is studied for a completely flat impedance load. The cross-over impedance correction is in our experience useful on all tube amplifiers (some people prefer to keep it switched off - question of taste and overall system). The Bass-Impedance correction, which can be purchased as option is only for certain sensible tube power amplifiers, for this reason (in order not to uselessly increase the price) it is meant as an option.